Description: THIRD DIVISION March 30, 2007 No. 1-06-0990 ALLSTATE INSURANCE COMPANY, Plaintiff-Appellee, v. JON AMATO, Defendant-Appellant (Lea Goldblatt and the Estate of Noel Goldblatt, Defendants). Appeal from the Circuit Court of Cook County. No. 04CH8274 The Honorable Peter J. Flynn, Judge Presiding. Description: FIFTH DIVISION March 30, 2007 No. 1-05-2313 BELL LEASING BROKERAGE, LLC, an Illinois Limited Liability Company, Plaintiff-Appellee, v. ROGER AUTO SERVICE, INC., Defendant-Appellant (Waldermar Rodriguez and Carmen Rodriguez, Defendants). Appeal from the Circuit Court of Cook County Honorable Alexander P. White, Judge Presiding. Description: SIXTH DIVISION March 30, 2007 No. 1-06-1901 LAZERRIC HARTZOG and ANGELA HARTZOG, Plaintiffs-Appellants, v. BRUNILDA MARTINEZ, Defendant-Appellee. Appeal from the Circuit Court of Cook County, Illinois. No. 04 M4 1971 Honorable Cheryl D. Ingram Judge Presiding. Description: FIRST DIVISION March 30, 2007 No. 1-06-2130 In re MARRIAGE OF: SHEILA MANNIX, Petitioner-Appellant, and DANIEL SHEETZ, Respondent-Appellee. Appeal from the Circuit Court of Cook County. No. 93 D 2984 Honorable James G. Donegan, Judge Presiding. Description: THIRD DIVISION March 30, 2007 No. 1-06-0974 MOUNT MANSFIELD INSURANCE GROUP, INC., Plaintiff-Appellant, v. AMERICAN INTERNATIONAL GROUP, INC., INSURANCE COMPANY OF THE STATE OF PENNSYLVANIA, ILLINOIS NATIONAL INSURANCE COMPANY, NATIONAL UNION FIRE INSURANCE COMPANY, AIG RISK MANAGEMENT, INC., and AIG CLAIM SERVICES, INC., Defendants-Appellees. Appeal from the Circuit Court of Cook County. No. 05 L 6662 Honorable Paddy McNamara, Judge Presiding. Description: Second Division March 30, 2007 No. 1-05-3741 THE PEOPLE OF THE STATE OF ILLINOIS, Plaintiff-Appellant v. JOHN ATOU, Defendant-Appellee. Appeal from the Circuit Court of Cook County No. TG246268 Honorable Larry G. Axelrood Judge Presiding. Description: No. 2--05--0699 Filed: 3-30-07 IN THE APPELLATE COURT OF ILLINOIS SECOND DISTRICT THE PEOPLE OF THE STATE OF ILLINOIS, Plaintiff-Appellee, v. JOSE L. CRUZ, Defendant-Appellant. Appeal from the Circuit Court of Lake County. No. 03--CF--2253 Honorable Christopher C. Starck, Judge, Presiding. Description: SIXTH DIVISION March 30, 2007 No. 1-05-1662 THE PEOPLE OF THE STATE OF ILLINOIS, Respondent-Appellee, v. STANLEY HOWARD, Petitioner-Appellant. Appeal from the Circuit Court of Cook County. No. 84 C 01313401 Honorable Paul Biebel, Judge Presiding. Description: FIFTH DIVISION March 30, 2007 No. 1-05-1050 THE PEOPLE OF THE STATE OF ILLINOIS, Plaintiff-Appellee, v. TODD JOHNSON, Defendant-Appellant. Appeal from the Circuit Court of Cook County Honorable Nicholas Ford, Judge Presiding. Description: FIFTH DIVISION March 30, 2007 No. 1-06-2326 THE PEOPLE OF THE STATE OF ILLINOIS, Plaintiff-Appellant, v. LORILLARD TOBACCO COMPANY; PHILIP MORRIS USA INC.; R.J. REYNOLDS TOBACCO COMPANY, INC.; COMMONWEALTH BRANDS, INC., DAUGHTERS AND RYAN, INC.; FARMERS TOBACCO COMPANY OF CYNTHIANA, INC.; HOUSE OF PRINCE A/S; JAPAN TOBACCO INTERNATIONAL U.S.A., INC.; KING MAKER MARKETING, INC.; KRETEK INTERNATIONAL, INC.; LIBERTY BRANDS, LLC; LIGGETT GROUP LLC; P.T. DJARUM; PETER STOKKEBYE TOBAKSFABRIK A/S; SANTA FE NATURAL TOBACCO COMPANY, INC.; SHERMAN 1400 BROADWAY N.Y.C., INC.; TOP TOBACCO, L.P.; VIBO CORPORATION, d/b/a General Tobacco; VIRGINIA CAROLINA CORPORATION, INC.; and VON EICKEN GROUP, Defendants-Appellees. Appeal from the Circuit Court of Cook County Honorable Dennis J. Burke, Judge Presiding. Description: No. 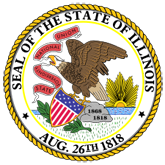 2--05--1093 Filed: 3-30-07 IN THE APPELLATE COURT OF ILLINOIS SECOND DISTRICT THE PEOPLE OF THE STATE OF ILLINOIS, Plaintiff-Appellant, v. JOSH L. WESTMORLAND, Defendant-Appellee. Appeal from the Circuit Court of Kane County. No. 05--CF--583 Honorable Timothy Q. Sheldon, Judge, Presiding. Description: FIRST DIVISION March 30, 2007 No. 1-07-0378 RITA ROSE RAMIREZ, Petitioner-Appellee, v. PALOMA ANDRADE, Respondent-Appellant (Board of Election Commissioners of the City of Chicago as a Duly Constituted Electoral Board; Langdon Neal, Chairman; Richard Cowen, Commissioner, in Their Official Capacities as Members of the Board of Election Commissioners of the City of Chicago as the Duly Constituted Board; and Paloma Andrade, Respondents). Appeal from the Circuit Court of Cook County No. 07 COEL 13 Honorable Susan Fox Gillis, Judge Presiding. Description: FOURTH DIVISION MARCH 30, 2007 No. 1-05-3587 LAURENCE A. ROSEN, Individually and on Behalf of Others Similarly Situated, Plaintiff-Appellee, v. INGERSOLL-RAND COMPANY, a New Jersey Corporation, and KRYPTONITE CORPORATION,a Massachusetts Corporation, Defendants-Appellees, SAL TORONTO, JOSHUA YULE, and JENNIFER LINDENAUER, Appellants. Appeal from the Circuit Court of Cook County. No. 04 CH 15345 Honorable Julia M. Nowicki, Judge Presiding. Description: SIXTH DIVISION March 30, 2007 No. 1-05-0157 FARID SWEILEM and KHALIL SWEILEM, Petitioners-Appellants, v. ILLINOIS DEPARTMENT OF REVENUE, ILLINOIS DEPARTMENT OF REVENUE BOARD OF APPEALS; and DIRECTOR of THE ILLINOIS DEPARTMENT OF REVENUE, Respondents-Appellees. Appeal from the Circuit Court of Cook County. Nos. 01 L 51089 and 01 L 51090 The Honorable Alexander P. White, Judge Presiding. Description: No. 2--06--0226 Filed: 3-30-07 IN THE APPELLATE COURT OF ILLINOIS SECOND DISTRICT STEVE TOWNSEND and KRISTI TOWNSEND, Plaintiffs-Appellees, v. JAMES FASSBINDER, Individually, and ) FASSBINDER UNITED BUILDERS, INC., Defendants-Appellants (Rainbow Painting Services, Inc., Robert Wlodarski, Individually and d/b/a Romar Insurance Service, and Romar Insurance Service, Defendants; United States Liability Insurance Company, Intervenor). Appeal from the Circuit Court of Lake County. No. 01--L--95 Honorable Patrick N. Lawler, Judge, Presiding. Universal Underwriters Insurance Company v. Judge and James. LTD. Description: THIRD DIVISION March 30, 2007 No. 1-05-4138 UNIVERSAL UNDERWRITERS INSURANCE COMPANY, Plaintiff-Appellant, v. JUDGE and JAMES, LTD. and JAY S. JUDGE, Defendants-Appellees. Appeal from the Circuit Court of Cook County. No. 02 L 966 Honorable Robert Lopez Cepero, Judge Presiding. Description: FIFTH DIVISION MARCH 30, 2007 1-05-4126 JEANINE WEISS, as Administrator of the, Estate of NATHAN WEISS, Plaintiff-Appellant, v. RUSH NORTH SHORE MEDICAL CENTER, DR. ERIC NUSSBAUM, DR. BERNARD SHULMAN, DR. FIDEL ECHEVARRIA, M.R. SCHAFF, M.D. and ASSOCIATES and PATRICK L. DODDY, as Administrator of the Estate of MARY R. SCHAFF, deceased, Defendants-Appellees. Appeal from the Circuit Court of Cook County. No. 87 CR 14661 (03) Honorable Kathy M. Flanagan, Judge Presiding.